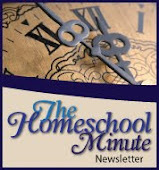 This week is a good example of why, when asked about our homeschool style, I say "eclectic"! Normally we have an order of affairs. Wake up, breakfast, dress, Bible Study, bookwork (Reading/Writing/Arithmetic), lunch, "specials" (science, history, art, field trips, etc). I had a feeling this week would be different when, 3/4 of the way through Monday (typically an unschooling day for us to do big chores and get our minds and bodies ready for the in-depth studies of the week) our lesson plans were not in place. It occurred to me, with grocery shopping and menu planning needed, a birthday to prepare for and celebrate on Friday, and our typical out-of-the house day on Thursday... this week would define eclectic and push the term "un-schooling". 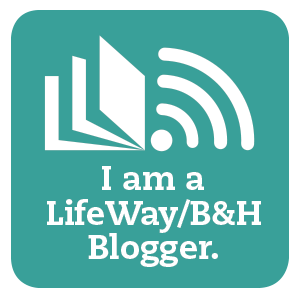 As a homeschool mom I am often curious about these situations in other homeschool settings. If you, like me, are curious how one mom handles a suddenly busy week... read on! It is not uncommon for us to face weeks like this. Sometimes (shhhh, don't tell!) I actually look forward to this break-up in our routine. My kids can self-pace... to a point! Then they need me at every other turn. I LOVE to teach and I live to guide them through learning how to learn. But weeks like this one pull my attention in so many directions I feel like stretched out elastic! Ick! - Each kid must read for a set amount of time every day. I will usually ask them questions about the book they are reading to test their comprehension. Sometimes, they will read out loud next to me as I am working. - Math facts are reviewed with flash cards and board games are encouraged that test their brain power! Other than these basics, I do take them with me shopping and discuss with them the decisions I am making and the math functions I am performing as I budget. Art is always encouraged in our home. Just yesterday, after returning from the bread store and Costco with large boxes, my 10 year old decided to make a shield from them. My husband showed him how to find true center and, before I knew it, my son was re-drawing his shield with his new-found skill!! I have read some great articles over the years about parents who found themselves in situations where eclectic or un-schooling styles became a necessity outside of their norm. I find peace knowing I am not the only one! I share this with you today so you might find peace when you find your homeschool schedule out the window before your week has even begun! Blessings and peace to you this weekend! Continuing Saga of Scheduling Quandries! Come One, Come All... It's a Carnvial!